The Tynnel Ancient Tunnel of the Space Void Full HD VJ Loop by LIMEART. 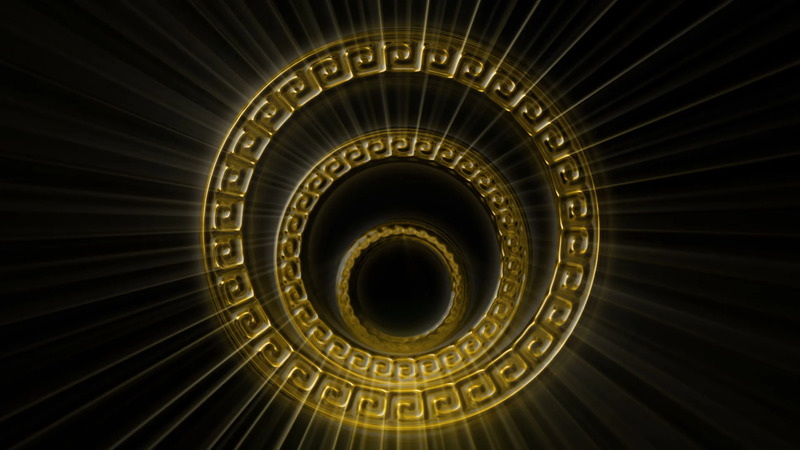 Three rotating golden rigs, coveres with the ancient Greek symbols are radiating the shiny rays of eternal space energy. The Tynnel Ancient Tunnel of the Space Void Full HD VJ Loop is a real hypnotizing eye catcher.